Skunkboy Blog: Panda Pearl is Here!!! 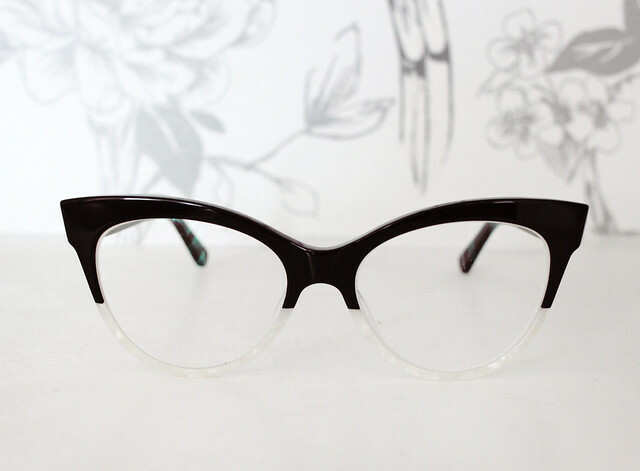 I'm so excited to announce the arrival of my new frame color, Panda Pearl! Last year I started working with BonLook on another color for my "Skunkboy" frames. I knew I wanted to offer another semi-classic. Don't get me wrong, I love my pink glitter glasses, but I definitely wear my tortoise on a more regular basis. Black was the obvious choice here, but I wanted to give it a little more flair. So, Katie, stick some lovely pearl on those bad boys and make them feel everyday fancy! I seriously love them and I hope you do, too! I never imagined designing glasses, but here I am. Boy-oh-boy does it feel so cool and rewarding to step outside that comfort zone! xo. I don't wear glasses and I want a pair! These are great. 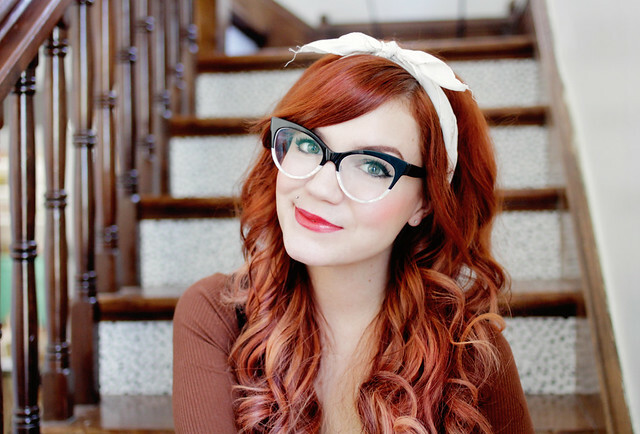 As a glasses wearer I would like to say these are super cute glasses! Great job designing them! These frames are gorgeous! Congratulations on the product launch, this is great! I absolutely love these! I wish I wore my glasses more, but I always find them so uncomfortable so always end up just wearing my contact lenses. 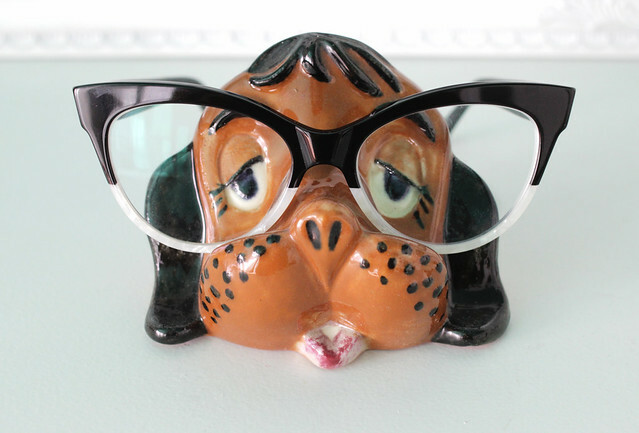 Please tell me where you found your dog glasses holder...my grandmother had a few of these and I was just thinking about them today! My fiancé ordered these frames for me! I can't wait to wear them, they're SO cute! !